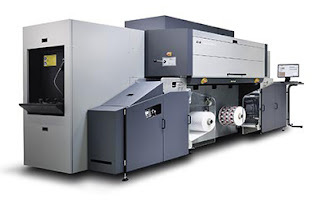 Durst, manufacturer of advanced digital printing and production technologies, has launched the Tau 330 RSC E UV inkjet single-pass press that will bring affordable digital production to increasing numbers of converters. Specifically targeted at small and medium converters in the mid-tier market, the budget-priced new model – prices start from €350,000 – will be field upgradable to the full Durst Tau RSC high-speed press at full 8 colours and 78 linear meters/min (245 ft./min). Production capabity of 1,020 m² / hour is achievable with a printing speed of 52 m/min at full color including white. High pigmented inks reduce ink consumption by up to 20% per sq meter, optimising running costs to the lowest possible level.